Dr Brad Sutherland is a Senior Research Fellow in the Discipline of Biomedical Science, School of Medicine in the College of Health and Medicine. His main research interests focus on the regulation of the microvascular system, how it is controlled at the cellular and molecular level, and how this becomes dysfunctional in diseases such as stroke and dementia. He also teaches Neuroscience and Physiology into a number of units as part of the BMedRes degree. Brad completed his PhD at the University of Otago (Dunedin, New Zealand) where he investigated the activation of inflammatory pathways in the brain after stroke. After a small stint as a Teaching Fellow in Pharmacology & Toxicology (University of Otago), he took up a Post-doctoral Research Fellowship with the Acute Stroke Programme, Radcliffe Department of Medicine, University of Oxford (Oxford, UK). During his time in Oxford, he formed an interest in the regulation of blood flow in the brain in health and disease. This led to studies investigating the interaction between brain tissue and the blood vessels, the signalling mechanisms that controlled energy delivery to the brain, and how these were disrupted in conditions such as stroke. In mid-2016, Brad arrived at the University of Tasmania to continue his research into cerebral blood flow and brain diseases such as stroke and dementia. He continues to use a wide range of in vitro and in vivo models to assess mechanisms of neurovascular regulation and models of disease. Brad’s expertise is in the teaching of undergraduate Pharmacology, Neuroscience and Physiology. He also has experience in teaching Biochemistry and Neuropathology and coordinating Pharmacology units. He has also supervised both undergraduate and postgraduate research projects. Over many years, Brad has developed skills in a range of techniques to investigate blood flow in the brain, and to perform in vitro and in vivo experiments. Specifically, he has experience with multiple stroke models including intraluminal filament middle cerebral artery occlusion (MCAO) model and hypoxia-ischaemia model. He also uses in vitro models of stroke on primary cells or cell lines in culture by exposing cells to oxygen and glucose deprivation. 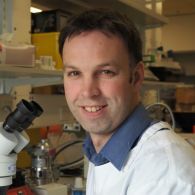 He uses a number of transgenic mouse lines to answer biological questions and employs a range of techniques including light, epifluorescence, confocal and two-photon microscopy, immunohistochemistry, histology, molecular biology, and animal behaviour. He also has experience with animal MRI. These techniques can be utilised to investigate the biological basis of a range of neurological disorders. Brad’s research aligns to the University’s research theme of Better Health. His research interests include understanding how blood flow is regulated in the brain, identifying how vascular dysfunction can lead to multiple brain diseases such as stroke, dementia and other neurodegenerative diseases. He also focuses on the discovery of novel therapeutic targets that can prevent vascular dysfunction to stop disease progression in the brain. He utilises a wide range of in vitro and in vivo models to assess brain function and brain disease. Blood flow in the brain is controlled by the neurovascular unit, which is a complex interplay of cells that communicate in order to increase blood - and therefore energy – supply in areas where brain activity is occurring. This is a tightly coupled process that uses complex paracrine signalling mechanisms and is prone to injury in disease. Brad is currently investigating the role of multiple cell types in the neurovascular unit and the mechanisms by which neurovascular dysfunction can occur. Recently, Brad has developed an interest in the microcirculation, specifically a cell type called pericytes which exclusively reside on capillaries. These cells are involved in many brain processes including regulating blood flow in the brain and maintenance of the blood-brain barrier and may contribute to injury and repair of a number of diseases. Brad’s ongoing studies are examining mechanisms of pericyte dysfunction following stroke and dementia. Brad is actively involved in a number of collaborations. Locally, Brad works closely with Prof David Howells, Dr Dino Premilovac and Prof Lisa Foa within the School of Medicine, A/Prof Kaylene Young in the Menzies and A/Prof Anna King and A/Prof Alison Canty in the Wicking. At a national level, Brad is a fellow of the NHMRC National Institute for Dementia Research which networks across the leading researchers in Dementia across Australia. He is also a member of StrokeCore which is a consortium of pre-clinical stroke researchers within Australia. Internationally, Brad continues to collaborate with Prof Alastair Buchan, A/Prof James Kennedy, A/Prof Nicola Sibson, A/Prof Gabriele De Luca and Dr Karl Morten from the University of Oxford (UK) on a range of stroke, Alzheimer’s disease and metabolism-related projects. He has also collaborated on blood flow-related projects with Prof David Attwell (University College London, UK), Prof Brian MacVicar (University of British Columbia, Canada), Prof Martin Lauritzen (University of Copenhagen, Denmark), Dr Clare Howarth (University of Sheffield, UK), Dr Chris Martin (University of Sheffield, UK) and Dr Catherine Hall (University of Sussex, UK). Dr Sutherland publishes regularly in high impact journals. He has more than 35 peer-reviewed papers including papers in Nature, Brain and Journal of Cerebral Blood Flow and Metabolism. He reviews grant applications for a number of granting bodies as well papers for a wide range of neuroscience journals. Brad has previously held grants from the Medical Research Council, John Fell Fund, Wellcome Trust Institutional Strategic Support Fund and Medical Research Fund while working at the University of Oxford (UK). There are no drugs that improve the outcomes following a stroke. We have recently identified idebenone as a neuroprotective agent during times of energy stress. This pilot project will investigate whether idebenone can be used to reduce the severity of stroke in a pre-clinical animal model. One possible cause of Alzheimers disease (AD) is narrowing of small blood vessels (capillaries) within the brain, limiting blood flow and energy supply. Pericytes, a cell found only on capillaries, maintain blood flow throughout the brain. In AD, pericytes may die leading to an energy deficit and memory problems. We will test using human brains and animal models whether pericyte loss causes AD and how this is happening. Pericytes could provide a new therapy option for AD. This project aims to understand the mode of cell death induced by a stroke, and determine the capacity for already developed therapeutics to rescue these cells. By saving oligodendrocytes from death after stroke, we aim to reduce the lesion size, but also keep these critical cells in place to support nerve cell survival and function. Pericytes are contractile cells exclusively residing on the basement membrane of capillaries. These cells have been shown to control cerebralblood flow and energy supply, maintain the blood-brain barrier (BBB) and mediate beta amyloid clearance. An emerging pathologicalmechanism of Alzheimers disease (AD) is the development of vascular dysfunction leading to chronic hypoperfusion, disruption of the BBBand altered beta amyloid clearance. These symptoms are all, in part, controlled by pericytes. Therefore, the degeneration of pericytes may becritical to the development of AD and could represent a novel cellular target for AD therapy. I will utilise my strong background in pericyte andneurovascular biology to:1) Establish a link between pericyte loss and human AD pathology. I will use human post-mortem brains and immunohistochemicaltechniques to assess pericyte degradation and its association with cognitive loss as well as amyloid, tau and vascular pathology.2) Follow changes in pericyte number, coverage and function alongside the development of AD. I will use NG2-DsRed mice that havefluorescent pericytes crossed with an animal model of AD to observe how pericytes change by assessing BBB function and capillary blood flowas AD pathology develops.3) Modulate blood flow and pericyte function directly in NG2-DsRed mice to associate pericyte dysfunction with changes in cognitivebehaviour and AD progression.4) Determine the mechanism of pericyte loss in AD using human pericyte cultures and identify novel compounds that could prevent pericyte degradation and cognitive decline.This research will provide an understanding of the importance of pericyte degeneration to AD pathology and whether pericytes represent a viable target on which further pre-clinical development of pericyte-targeting drugs for AD can begin. This project will assess how pericytes, a specific cell that may control blood flow in placenta, could contribute to restricted growth of babies during pregnancy. This project will assess how pericytes, a specific cell that may control blood flow in the brain, are affected by stroke and will identify mechanisms that could be targeted as a treatment strategy for stroke. Fatigue can be much more than just a sense of tiredness. It is also a debilitating symptom of many diseases and disorders, hampering peoples ability to perform the simplest of daily activities. The underlying mechanism of fatigue is unknown. We hypothesise that fatigue is ultimately the result of reduced delivery of energy to the brain. We will assess how energy supply is altered in fatigued brain. A special diet (that supplies an alternative energy source for the brain) will be used to circumvent this energy deficit. We hope to establish how fatigue occurs and offer clues to a simple treatment strategy. Brad has co-supervised two PhD students and one Masters student while working at the University Oxford (UK). Brad is currently available to take on supervision of Higher Degree Research Students in the College of Health and Medicine.